Residential Carpet Cleaning - Mark's Cleaning Service - Mark's Cleaning Service Inc. Call Mark's Cleaning Service Today For A FREE Estimate! DAY, WEEKEND, AND EVENING APPOINTMENTS AVAILABLE! ​ Steam Clean or Dry Clean? This system is designed to steam clean and dry FAST, removing maximum soil. 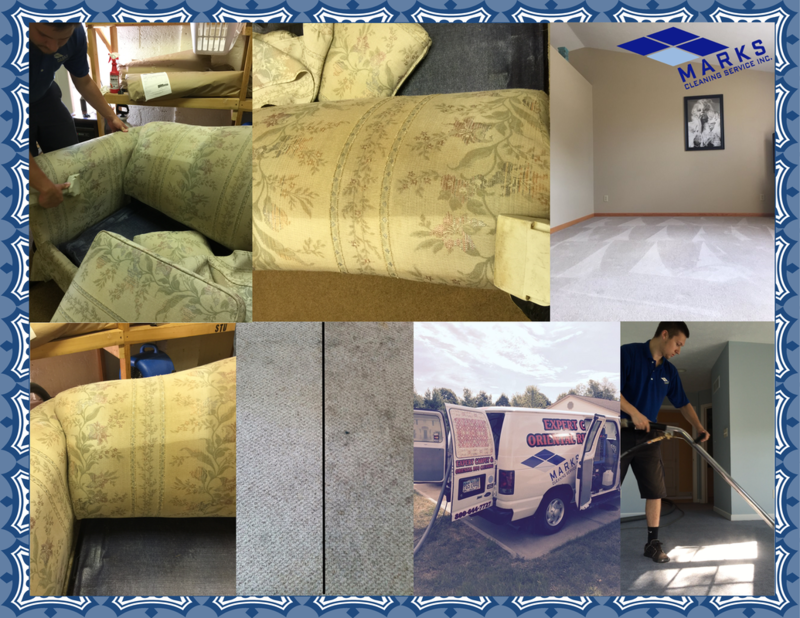 Mark (The Owner) says, “All carpet makers recommend steam cleaning most often, so we give you the best of both worlds by using truck mounted steam cleaning and turbo fast drying. This system prevents spots from returning guaranteed. Mark’s carpet cleaning service uses the latest technology to clean your homes carpets. All of our certified carpet cleaning technicians are equipped with state of the art truck mounted machines, each truck is armed with fresh water and a built in waste tank. Using a hot water extraction method capable of reaching temperatures of 210 degrees F and cleaning detergents individually selected for each job. We don’t cut corner we clean them! Our truck mounted machines are designed to clean deeper and remove even more moisture, extracting 60% more water than your typical steam cleaner. In Practical Terms this means your carpets will dry faster and lower the risk of mold or mildew growth. Having Mark's Cleaning Service clean your homes carpets will remove allergens that will improve your indoor air quality. It is important to remember that not all carpet cleaning services are the same. Our company’s mission is to uphold an extremely high level of service treating our customers as we would like to be treated. Most of our competitors only train their technicians to use 1 cleaning solution to clean a variety of different carpets and stains. This is done to cut corners on training time and chemical cost. 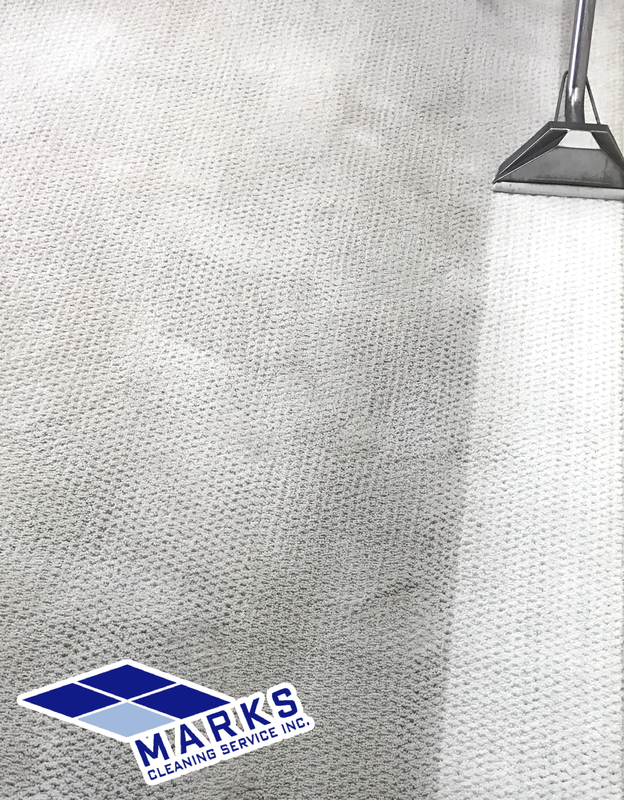 At Mark’s Cleaning Service no carpet cleaning is ever the same, carpet type, stains and soiling differ from home to home, and therefore there is no single cleaning detergent to remedy every job. Our technicians aren’t just trained how to use all of our detergents and spotters but are also educated how the detergents react and emulsify soils. We determine and select detergents based on individual circumstances this gives us a much higher success rate of stain removal than our competitors. All our technicians are certified with the IICRC (Institute of Inspection Cleaning and Restoration Certification). Protect your carpets against spills, stains and soiling with Teflon. It can be gratifying to see how bright and fresh your carpets look after a professional carpet cleaning. Now you can keep them fresh and clean much longer by protecting your carpets with Teflon to help prevent future soiling and staining. “Teflon” is a synthetic fluoropolymer that is commonly used to coat, pots, pans, shoes and many other household fabrics like upholstery. Due to Teflon’s hydrophobic properties neither water nor water containing substances will absorb into your delicate carpet fibers, allowing spills to be removed before staining occurs. The best way to treat stains is preventing them from ever happening at all. So next time you or a friend spill a drink on your clean carpet, you can rest assured you will not be left with a tricky stain. Ask your cleaning technician about applying Teflon to your carpets. Insured and Bonded Professional uniformed technicians No harsh cleaning solutions. ​Careful around landscaping and inside home and office areas. ​We apply shoe covers upon entering clients home or business. We prevacuum — pulling out 38% of soil and contaminates. ​We prespray — with an environmentally friendly detergent. Fragrances are a mask. At your request we can apply them free of charge. All difficult spots are pretreated with specialty products. We rinse with hot water to leave your carpet residue free so it will not resoil. This means your carpet stays cleaner longer. Applying carpet protectors like Teflon will not work if carpet is not rinsed clean. ​​We rake and groom the carpet and apply fans for faster drying. Our Technicians are mindfull of furniture and wood work while cleaning carpet throughout your home. Many companies own hot water extractors, but very few of them teach their technicians how to properly operate and maintain the equipment. When hiring your carpet cleaner always make sure the cleaner has been certified by the institute of inspection, Cleaning and Restoration Certification (IICRC). Here’s a fact, verified in research, for every 18-degree increase in water temperature above 118 degrees F you double the cleaning ability. So, if the water temperature is 136 degrees F, it will clean twice a well as water that is 118 degrees F and at 154 degree it will clean four times as well as 118 degree water, and so on. Mark’s Cleaning Service technicians use water temperatures in the 180-210 degrees F ranges. It sprays the high temp cleaning solution into your carpet at a high pressure, which breaks up dirt, bacteria, chemicals, dust mites, dust mites feces and pollens. The equipment uses strong suction to draw the dirt, chemicals, bacteria, pollens, and other residue out of your carpet. This will leave your carpets fresh and clean. Our Carpet Cleaning Division Manager Michael Gallucci has been With Marks Cleaning Service for over 17 years. Starting out as a Carpet and Upholstery Cleaning Technician Mike's managerial expertise is one of his many attributes. Mike prides himself in staying up to date with the latest cleaning tools and state of the art equipment. He is constantly researching new cleaning products, and takes comfort in knowing his customer will receive only the best of the best. Mike has certifications in Carpet Cleaning, Upholstery Cleaning, Water Damage Restoration, and Fire and Smoke Damage. "The secret to success of Mark's Cleaning Service," Mike says, "is that we don't cut corners, we clean them." Why Hire a Cleaning Company With a Great Reputation? ​We've spent the past 30 years perfecting the craft of quality carpet cleaning. ​Mark's Cleaning Service Is A Proud Winner Of The Angie's List Super Service Award! Proud Winners Of Best Of The Best Award. Now Review Us On Thumbtack! Another perk is that you get a FREE bottle of “Spot Out” Spot Remover with lifetime refills ($20 value). 200% Money-Back Guarantee. If You're Not Happy, We'll Clean It Again! We Also Clean Car Upholstery! "If You Get Your Sofa Cleaned with Your Carpet You Get $25 Off!" "Sign Up To Our Newsletter For More Coupons And Great Promotions"
​"Download Our FREE Spotting Guide To Carpet Cleaning!" "Download Our FREE Insiders Guide To Carpet Cleaning!"